Friday mornings on Sanyu FM usher in the weekend with dancing on the wheels most especially if you have good in-car entertainment. Last Friday was a bit different because it was a different guy behind the discs. Callers were concerned about the whereabouts of Deejay Beekay and the ladies (Mel+Seanice) told of how DJ Beekay was doing exams but information we are landing on suggests that DJ Beekay has crossed to 94.8 XFM and those jams you've been listening to on Friday might as well have crossed to Vision based X-FM. 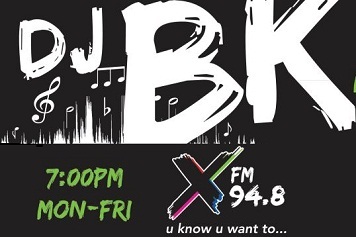 Interestingly it will be from Monday to Friday at 7:00pm as opposed to waiting for Friday's to get a feel of DJ BK.